To ensure the linen you provide for your guests is of the highest quality, comfort and cleanliness levels, rent your linen from Northland Laundry Services (NLS) in Whangarei, Northland. Remove the hassle and all of the hard work and make your environment look great. Keeping your customers and service users happy with those perfect finishing touches is smart business. Users appreciate the look and feel of quality, freshly laundered linen. Getting this wrong can be costly leading to loss of business and complaints. You don’t have to be a large business to use our services, although many do. Nor do you need to sign a regular contract. We often rent linen for one-off occasions. So if you have a special party coming up or a large group renting your holiday home or bach please contact us for a free, non-obligatory quote. 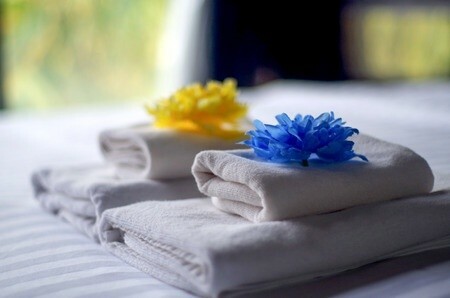 NLS offers a trusted, professional and tailored linen rental service and laundry solution to satisfy you and your customers. Please contact us to discuss your needs.